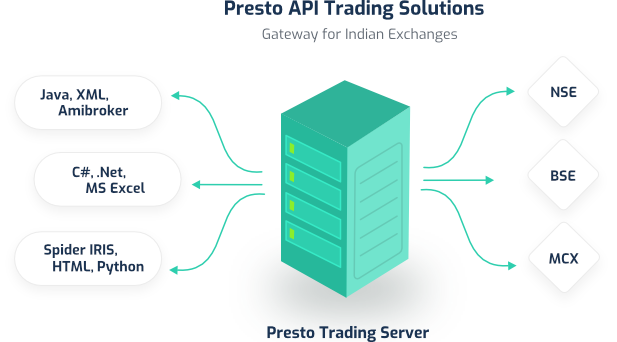 Presto ATS is a comprehensive platform to Design, Test, Deploy, Execute and Monitor fully automated trading or execution algos using asset classes available in Indian Exchanges. 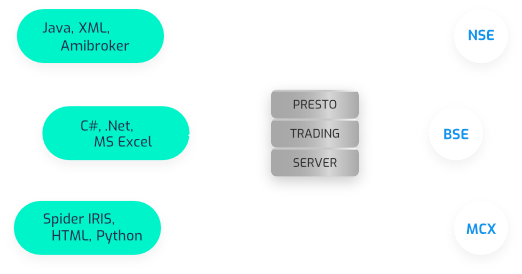 Presto provides a framework to deploy the Algos with Live Market Data and Direct Market Access (DMA). To monitor strategies. To monitor, Control Risk Management, Authentication etc. To monitor,control strategies, Manual Order Entry etc. 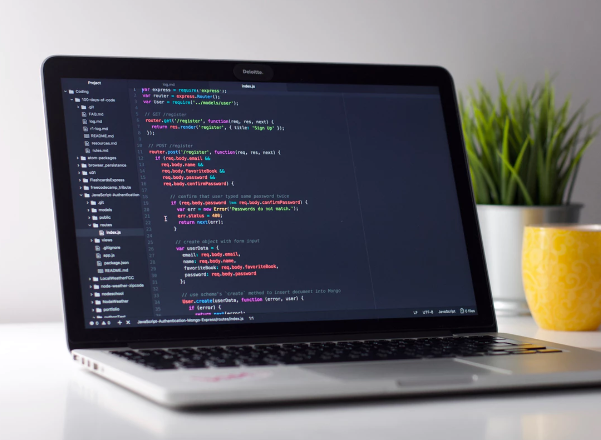 OMS includes an Order Routing System for accepting orders from external providers and routes them to multiple exchanges, persistence layer backed by a database and authentication on. Simulators for NSE/MCX/BSE. 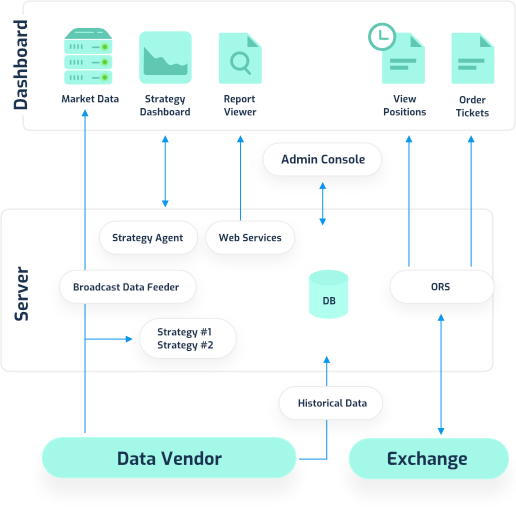 FIX-venues that can be integrated with Symphony's Broadcast Data Feeders to create Virtual-Exchanges. Are you looking for a robust Order Management System & well combined APIs to connect with Indian Exchanges? Your search has finally ended. Presto APIs are well documented, easy to Comprehend, excellent for Active Traders and Asset Managers working on custom strategies. We provide Live Support. Praveen has more than 22 years of Entrepreneurial experience. He has started and successfully managed two companies focused on providing Software-As-A-Service and IT Infrastructure services. He successfully exited his last venture, a software training institute, in 2003. During his initial year he worked in large corporates for about 10 years, including Hindustan Dorr-Oliver and Punj Lloyd He is an engineer from BITS, Pilani, India and has a Post Graduate diploma in Marketing Management from JBIMS, Mumbai. For over two decades, JP has played a key role in offering IT enabled solutions to the stock broking community. In 1998, he founded NetEquity Technologies which was acquired by Omnesys in 2001. He holds a Master's degree in Business Management from BITS Pilani, India. Naveen has more than 17 years of in-depth experience in product design and solution architecture Expertise in high-performance trading technology. His area of expertise includes event driven server architecture, user interface frameworks and designing highly scalable and real-time systems. He is also the Founder of QuantXpress, focused on driving business value through delivering innovative product and trading solutions for worldwide financial marketplace. In his prior engagements, Naveen worked with RTS (now Bloomberg) India as Director Technology and Co-Founded First Future, a German Technology venture. Naveen holds a Bachelor's degree in Science and Master's degree in Computer Science and Applications. He has about 15 years of combined IT experience in Service, Product and Training industry. Ajit is well known in the programming forums in Mumbai as a software expert & mentor. Before joining Symphony, he worked with C-SAM building complex large scale multi-technology applications in BFSI domain. Kumar has more than 10 years of experience in QA, Customer Support and Software deployment. He has been in Stock Broking industry for last 6 years.